The Nashville Children’s Choir, a premiere choir for singers ages 8-18, will perform their annual concert of traditional Christmas music at 2 p.m. and 4:30 p.m. on Saturday, December 10 in McAfee Concert Hall. The choir is in residence at Belmont and is part of the Belmont Academy, a pre-college music program. Belmont Camerata will offer its annual presentation of “A Camerata Christmas,” a holiday celebration that includes the Corelli Christmas Concerto and bluegrass-style carols on Monday, December 12 at 7:30 p.m. in the Belmont Mansion. The University’s Christmas concert series will conclude with the annual Christmas Eve Carillon Concert, held on Saturday, December 24 at 2 p.m. at the campus Bell Tower, located just off the corner of Belmont Boulevard and Portland Avenue. Continuing a tradition begun during the Ward-Belmont days, the concert features traditional Christmas music played by Professor of Music Richard Shadinger on the tower’s 42-bell carillon, one of five carillons in Tennessee. Of course, the holiday wouldn’t be complete without the annual “Christmas at Belmont” special. 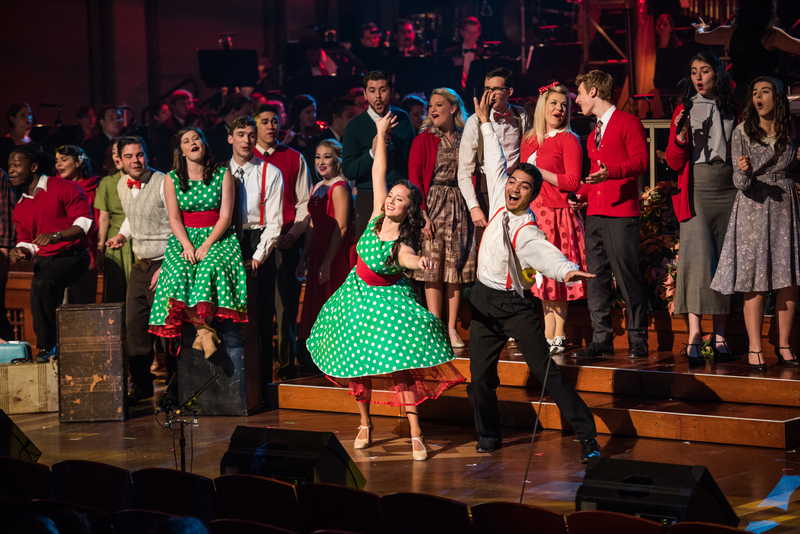 A presentation of last year’s performance, featuring 700 students, faculty and staff musicians from the School of Music and hosted by award-winning country recording artist Kathy Mattea, will be shown in Middle Tennessee by Nashville Public Television (NPT-Channel 8) on Thursday, December 22 at 8 p.m. (CST). Check local listings for additional air times in other parts of the country. For a behind-the-scenes look at last year’s performance, click here.